Today begins the season of Lent in the Christian calendar, a forty-day period of fasting and repentance imitating Jesus’ forty days of temptation in the desert. It is a season of preparation for the holiest season in the calendar, the Passion week and Easter. If I were a good Catholic, I would have only one full meal today, eat no meat on Fridays and other fast days and increase my times of prayer and giving to charity. However, since I’m Pentecostal, I’m just giving up beer and coffee. Today begins the annual Week of Prayer for Christian Unity. This year is actually the centenary of the week of prayer which began in 1908. To learn more about it, see the BBC article here. The theme verse for this year is, “Pray without ceasing” (1 Thessalonians 5.17). As I did last year, I’ll be posting my own prayer for each day, focusing on a succession of themes: repentance, justice, forgiveness, community, discipleship, worship, mission and love. Join with me. Father of our Lord Jesus Christ, we Your people come to You with heavy hearts, cracking under the weight of Your fractured and broken body. 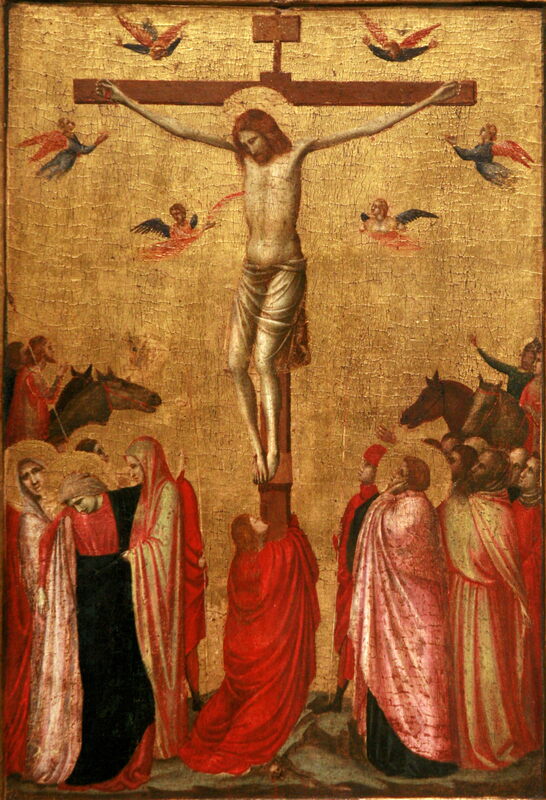 Instead of we, the broken, being borne along by You, the Crucified, we have so sinfully attempted each to bear You, the resurrected King, on our own backs. We are those who have been crushed by the rock that falls, the cornerstone. We come to You as the prodigal son, having wasted our inheritance in the lavish promotion of our own destruction. We do not deserve to be received back into Your home, but will work the fields as Your mere servants. And yet, how You welcome us! Father of all compassion, receive our groans of repentance, that we all may go to Your vineyard together, with one heart and one mind, to gather anew the sheaves of the harvest. This we ask through our Lord and Saviour Jesus Christ, who lives and reigns together with You and the Holy Spirit, one God, now and forever. Amen. If we walk with Mary, we will find a woman who is visited by angels, filled with prophetic words about what God will do through her Son, informed of her Son’s suffering, and who year-in and year-out pondered just how in the world her Son would become the Messiah. She grew year-by-year in her perception, and her growth actually mirrors our own: struggling with a crucified Messiah is our story, too. She came to terms with a crucified Messiah, but she came to it honestly: she struggled with Jesus. For the next forty days, the Christian Church enters the season of Lent, a season of self-examination and repentance in preparation for the events of Easter. It’s traditional (though this is my first year practicing it) for Christians to give up something for Lent in order to have some small tangible reminder of the process of suffering and repentance. I’m giving up coffee. Each time I crave it I’ll be reminded in some small way of Christ’s own sacrifices for me–and ultimately, His greatest sacrifice at the cross. May you have a refreshing and cleansing season of Lent. Go in peace.